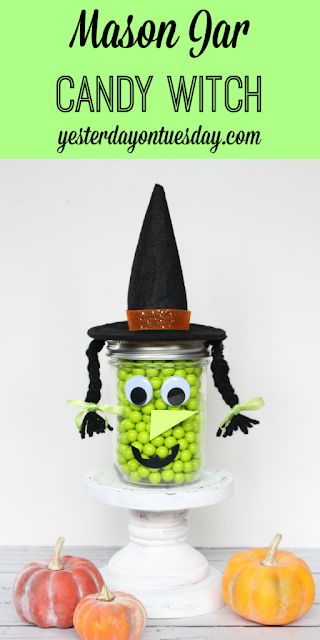 Have a fun time this Halloween by making this mason jar candy witch. This fun craft from Yesterday on Tuesday is great for the kids this Halloween. Click here to see exactly how she made it.